The garden level is mostly done, but there are still some stubborn patches, primarily where the stone is deteriorating. 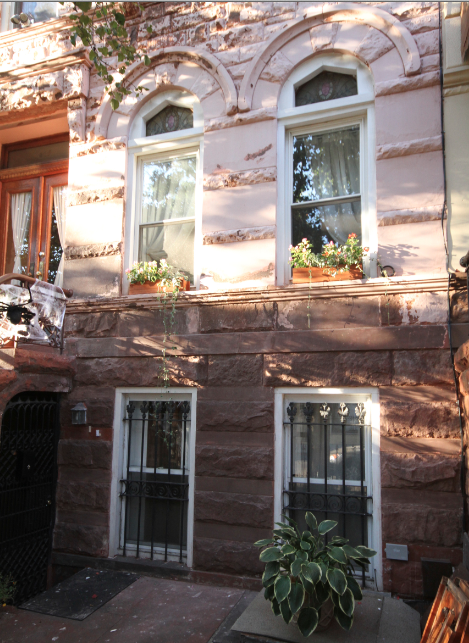 It’s particularly bad where there are patches on the brownstone. I have yet to find a good method of removing paint from cement (at least I think it’s cement – I can’t tell for sure since it’s covered in paint). 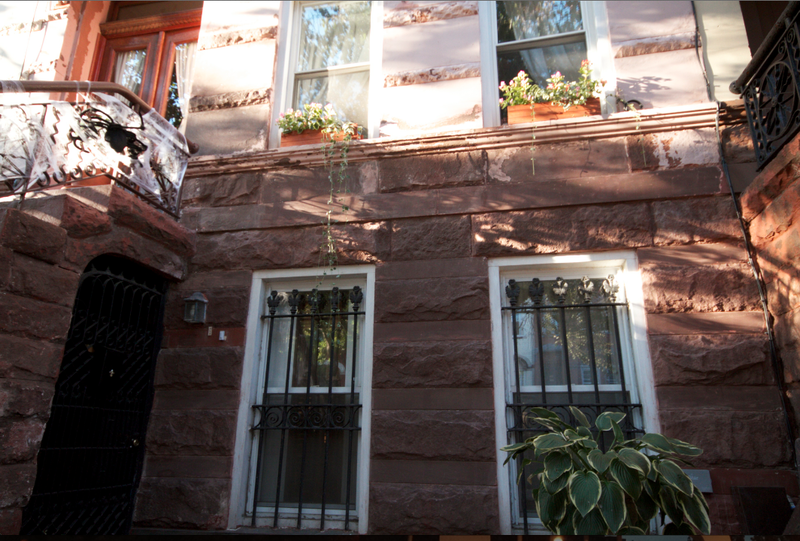 Not surprisingly, we are STILL waiting for estimates from the contractors for the stripping and repairing of the brownstone. Somehow, I have a feeling I’m in this for the long haul and I best get cracking and learn how to patch the stone myself.